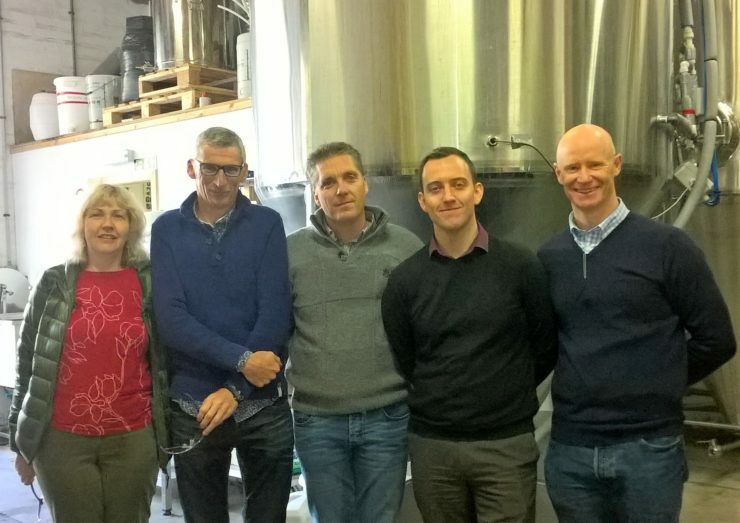 Moray LEADER has played host to visitors from GAL Burdinale-Mehaigne, a sister organisation which runs a LEADER programme in Belgium, with the aim of brewing up ideas for a joint co-operation project focusing on support for the local brewing industry in both countries. Philippe Laroche and Stéphane Dormal, from Wallonia in Belgium, held meetings with members of the Moray Local Action Group and visited Windswept Brewery in Lossiemouth, the maltings at Balvenie Distillery, and Corskie Farm, the largest barley producers in Moray. Plans for a joint co-operation project involve sharing local knowledge and skills related to a range of issues including the local production and malting of barley for use in the brewing process. “It was a pleasure to welcome our colleagues from Belgium and share ideas about how we can work together to support the brewing industry in both our areas. “We are at the beginning of a journey that could lead to the excghange of ideas and business models that will promote locally sustainability, and potentially to joint production and marketing of premium products by the breweries involved. “We are grateful to Nigel and Al from Windswept for taking the time to explore new ideas with our visitors, and to Iain Green of Corskie Farm and Mhairi McDonald at Balvenie Distillery for taking us through the stages of barley production and malting in Moray."